Stool by Cees Braakman for UMS-Pastoe 1952. Bent plywood legs and seating in Kaki green upholstery, from the combex series. 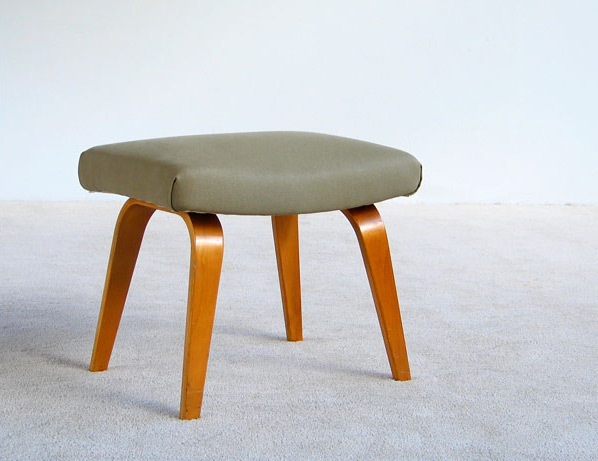 Tabouret Cees Braakman pour UMS-Pastoe 1952. Pied en bois plywood, assise en tapisserie d'ameublement Kaki vert. Seri combex.